Some cities are finally acknowledging the huge racial disparities in low-level marijuana arrests and promising changes. About 61 percent of Americans say marijuana should be legalized, a sentiment that has increased steady in recent years, according to the Pew Research Center. However, that changing attitude hasn’t stopped the police from disproportionately targeting Black and Brown people for marijuana arrests. Marijuana use is roughly equal among Blacks and Whites, yet Blacks are 3.73 times as likely to be arrested for marijuana possession, according to the American Civil Liberties Union. A marijuana bust could have a damaging impact lives, including causing people to lose their housing and preventing them getting a job. The glaring disparities prompted the Manhattan district attorney to announce that he will no long prosecute low-level marijuana arrests. And in New Jersey, the governor is pushing for statewide legislation to end the injustice. 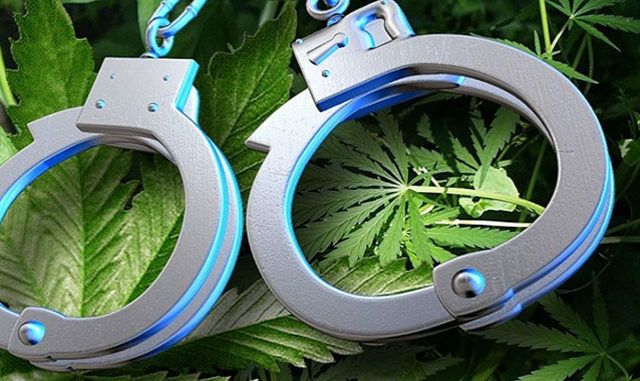 Last week, the Minneapolis Police Department said that it ended undercover stings operations targeting small-scale marijuana sellers for arrest, the Minneapolis Star Tribune reported. The decision was prompted by a revelation that almost every person arrest was Black. Hennepin County Chief Public Defender Mary Moriarty reported that 46 of 47 people arrested from Jan. 24 to May 24 were African American. Nearly all the cases involved sales of up to 2 grams of weed that sold for $10 to $20. Manhattan District Attorney Cyrus Vance Jr. announced that his office would decline to prosecute arrests for low-level possession effective August 1. In New Jersey, where cops arrest Blacks at a rate three times higher than whites, Gov. Phil Murphy’s main motive for supporting legalization of pot is to correct the “social injustice” to African Americans, according to NorthJersey.com. He’s also receptive to the idea of expunging certain low-level convictions. Despite Minneapolis’ new policy, cops will continue to make other marijuana arrests while the drug remains illegal, said Chief Medaria Arradondo, the city’s first Black police chief.